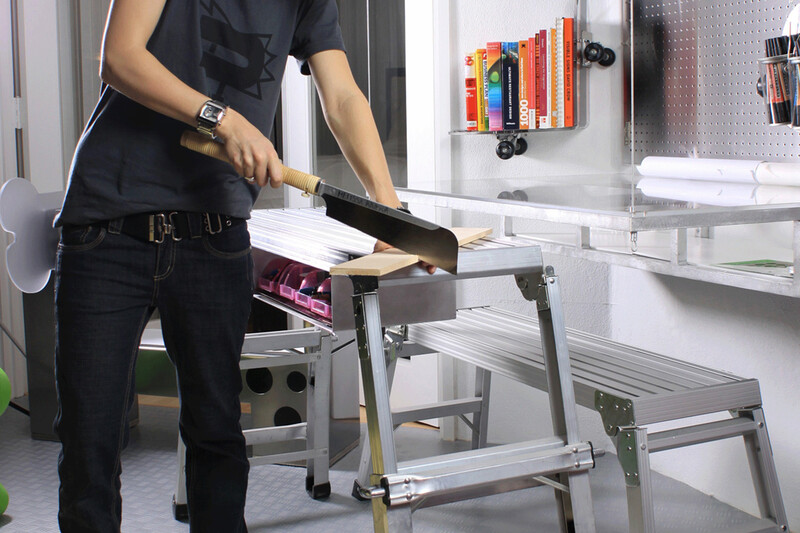 This desk is made with aluminum and plexiglass. 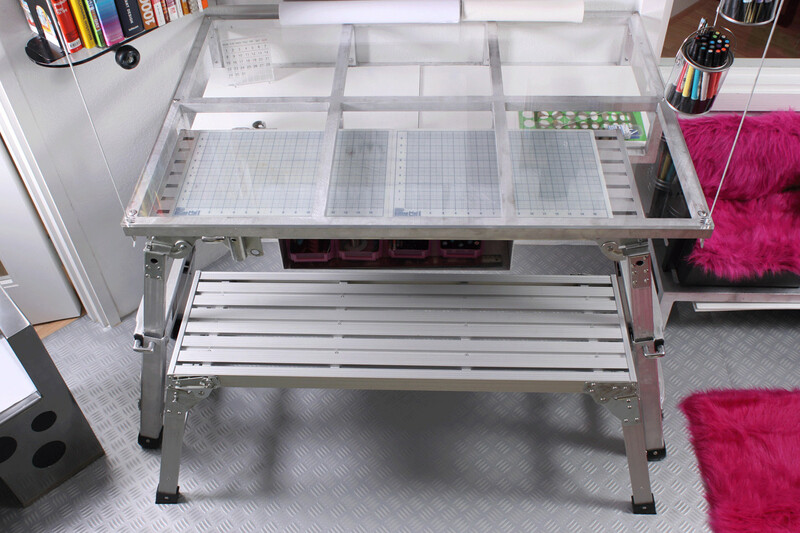 The desk is designed to be able to display models and objects underneath it while keeping the top of the desk free. Its surface is dry erase so it allows the user to write phone numbers or doodle on it. 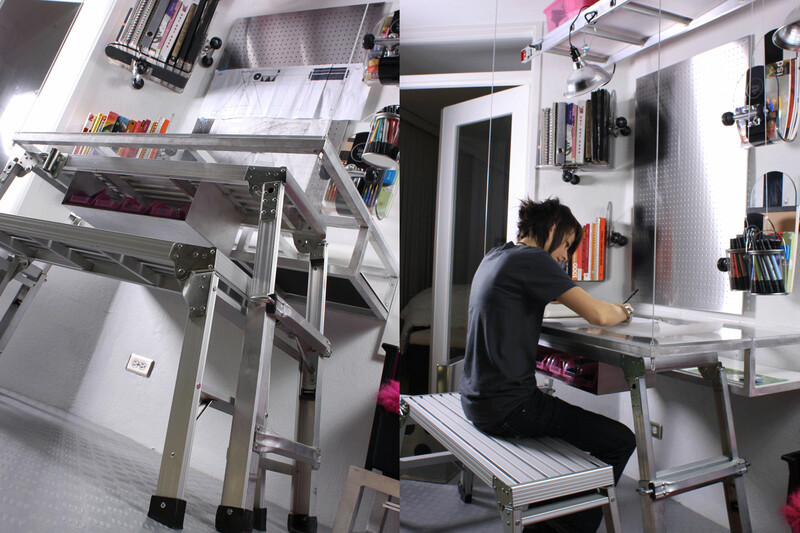 A height adjustable bench pulls out from under the floating desk to provide additional workspace. 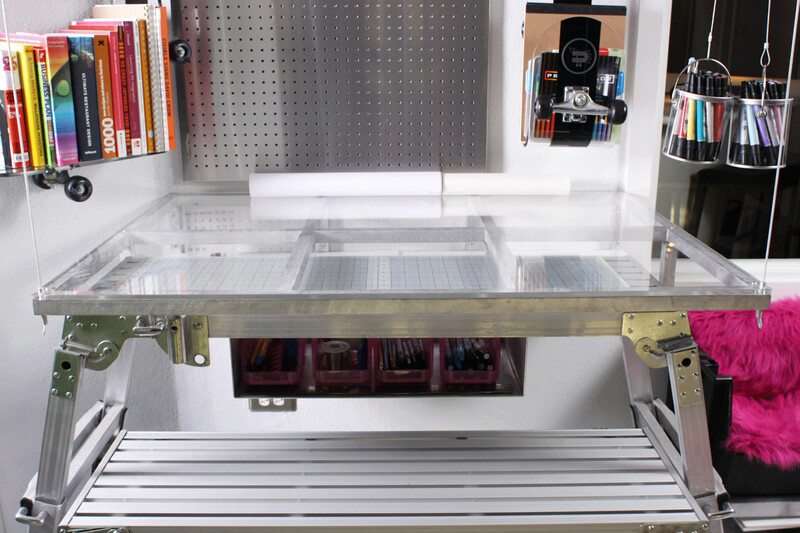 A removable piece with plastic bins fits underneath the bench to store pens, pencils and markers. 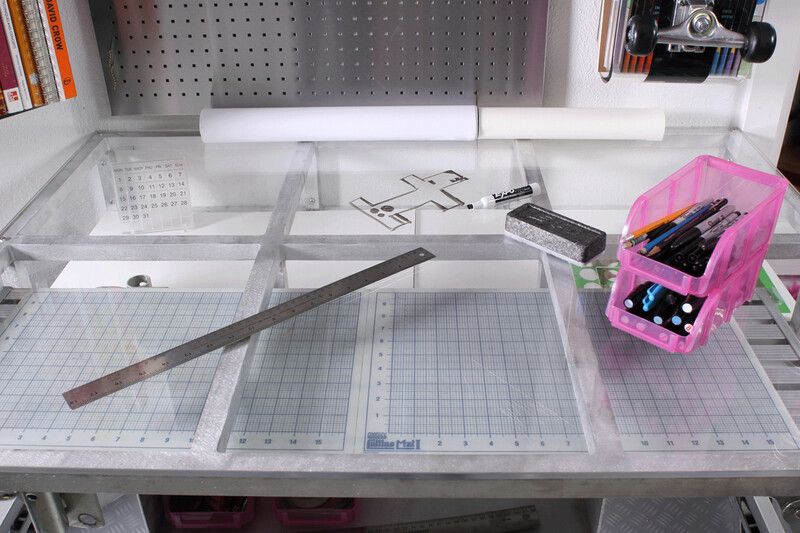 Materials: Plexiglass, Aluminium, Stainless steel cable.